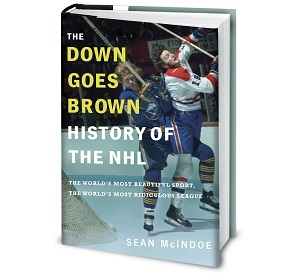 Down Goes Brown: Grantland: Did any of those super long-term contracts turn out to be a good idea? Grantland: Did any of those super long-term contracts turn out to be a good idea? Thanks to Roberto Luongo, Vincent Lecavalier, Ilya Bryzgalov, and Rick DiPietro, the past week of NHL transactions will probably be remembered as the Revenge of the Long-Term Contracts. With Luongo trapped in Vancouver and the other three players receiving buyouts that total almost $80 million, teams that tried to beat the system with extended deals are starting to feel some serious pain. After years of teams signing players to ridiculously long-term deals, often front-loading them to exploit a salary-cap loophole, the NHL moved to put a stop to the practice in the last CBA by limiting contracts to a maximum of eight years. But the contracts signed under the old CBA still remain, and many of them don’t look good. So I thought it would be a good idea to go through the full list of all the contracts longer than eight years that were signed during the salary-cap era and do a player-by-player breakdown of all … [checks CapGeek] … 21 of them. Wait, 21? I’ve got to be honest, that’s way more than I thought there would be. What the hell, NHL owners? This is going to take a while. Here’s a look at each of those 21 contracts of nine years or longer, as we try to answer one question: In hindsight, did any of them actually turn out to be a good idea?